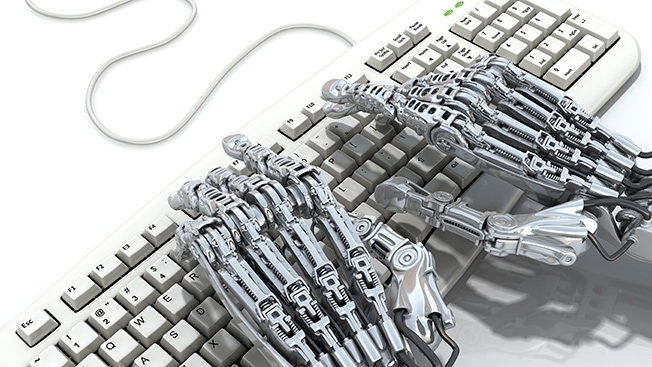 Online ad fraud driven by bots will cost brands $7.2 billion globally this year, according to a forecast in a new joint study by the Association of National Advertisers and White Ops. That's up from the $6.3 billion the two organizations predicted in a similar report for 2015. The latest research, released today, found that publishers with higher cost-per-thousand (CPM) rates were more susceptible to bots, which generally create millions upon millions of ad impressions that are seen by no one but often get charged to marketers as a viewed promotion. Display ads with CPMs greater than $10 had a 39 percent higher incidence of bot activity compared to less-expensive digital properties. In addition, the study concluded that programmatic ad buys rendered 14 percent more bots than the study average, while programmatic video ads had 73 percent more bots than average. "The level of criminal, non-human traffic literally robbing marketers' brand-building investments is a travesty," Bob Liodice, ANA president and CEO, said in a statement. "It also underscores the need for the entire marketing ecosystem to manage their media investments with far greater discipline and control against a backdrop of increasingly sophisticated fraudsters." The ANA/White Ops report also found that digital advertisers had a range of bot percentages varying from 3 percent to 37 percent in 2015, compared to a range of 2 percent to 22 percent the year before. Also, campaigns targeting Latino consumers were, at times, nearly twice as likely to encounter bot traffic than non-Hispanic targeted media. Forty-nine ANA members participated in the study, called 2015 Bot Baseline, which examined 1,300 campaigns from August 1 through September last year. Meanwhile, the Interactive Advertising Bureau said last month that a myriad of issues—from fraud to ad blocking to content piracy—is now costing online marketers around $8 billion annually.